In this blog, Dr Mike Esbester, senior lecturer in history, provides an update on the ‘Railway, Life & Death‘ project he has been working on in conjunction with the National Railway Museum. A database that details the stories of nearly 4,000 individuals who were killed or injured at work, including 16-year old James Beck, who Mike discussed briefly in an earlier blog (http://history.port.ac.uk/?p=315), is now available online. Mike’s research focuses on the cultural history of safety, risk and accident prevention in the nineteenth and twentieth centuries. 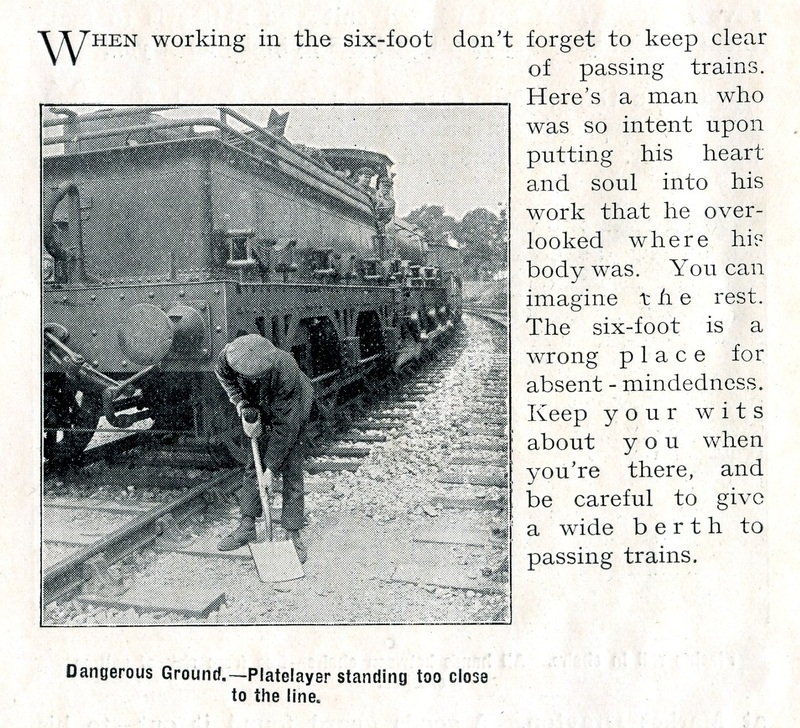 The ‘Railway Work, Life & Death’ project has just made available the database of nearly 4,000 individuals killed or injured at work on the railways between 1911 and 1915. In it you’ll find details of railway worker’s stories, taken from state accident reports: you’ll see men and women from across the UK and Ireland, aged between 14 and 75, and from all grades of the railway industry. Through the database we can see how varied railway work was – and we’ve got a flexible tool, searchable by grade of employee, type of accident, location, railway company, details of the accident, who was held responsible, and any recommendations made to prevent a repeat occurrence. Many cases were relatively ‘mundane’ – single incidents that resulted in relatively minor injuries like bruises. But some were much more severe involving multiple casualties, like two separate incidents which each injured eight men at once, or the group of workers maintaining the tracks at Battersea on 19 January 1911, three of whom were killed and two injured when they were hit by a train at 45mph. This resource exposes to our view something of the experiences of the 3,911 individuals involved in accidents that were investigated by the state inspectors. We hope it will put at least a little bit of the human story on what otherwise might seem a large and unmanageable figure. Now that the database is available we want people to make use of it! We’re promoting it widely, across all the audiences interested in the project – health and safety professionals, museums and archives specialists, academics, family historians, the current railway industry, and more. We’re keen to gather your feedback, particularly as we develop the next steps and try to make even more data available – so do please tell us what you make of it: there’s a feedback form on the project website, or you can contact us via railwayworkeraccidents@gmail.com. In the short term, we’re continuing to update the project website regularly, including details of some of the cases found in the database and what they say about life, death and disability on the railways – do be sure to keep checking back (www.railwayaccidents.port.ac.uk).